Alabama Humanities Foundation (AHF) Annual Awards Luncheon will feature an all-star cast October 7 at noon at Birmingham’s The Club. Best-selling author and Harper Lee Award recipient Winston Groom will offer the keynote address. Renowned multi-instrumentalist Bobby Horton will receive the 2013 Alabama Humanities Award. AHF will also award Don Noble with the Wayne Greenhaw Service Award and Books-A-Million with the Charitable Organization Award. To purchase tickets phone Paul Lawson at 205-558-3992. Please RSVP by September 30, 2013. “If you see a line, go stand in it, probably can’t hurt nothing” is a sample of the pithy wisdom of Forrest Gump by Gump’s creator, Winston Groom. Winston Groom took the publishing world by storm when his 1986 novel Forrest Gump flew to the top of the NewYork Times bestseller list and stayed there for twenty-one weeks. It has sold over 2.5 million copies in the United States alone, and millions more worldwide, on the heels of its blockbuster movie adaptation starring Tom Hanks. The book has also been reprinted in at least eighteen languages. Groom is the author of sixteen books. In addition to Forrest Gump and Gump & Co., Groom’s novels include Better Times Than These, Gone the Sun, Only and the award-winning As Summers Die, which was made into a movie starring Bette Davis. He is also the author of Conversations with the Enemy, a non-fiction account of the experience of an American prisoner of war in Vietnam, a brilliantly rendered Pulitzer Prize finalist. His novel Such a Pretty, Pretty Girl, was published by Random House in the spring of 1999. As well as being a talented novelist, Groom is also a renowned author of history. One of his books, the prize-winning Shrouds of Glory, published by Grove-Atlantic Press, is “a meticulous, atmospheric history of the little known, but very dramatic, Western Campaign of the Civil War” and is inspired by tales of his great-grandfather, who fought for the Confederate Army. His critically acclaimed A Storm in Flanders, a World War I history, was published by Grove-Atlantic in June of 2002. His World War II history book, 1942: The Year That Tried Men’s Souls, was published by Grove in the spring of 2005. Patriotic Fire, his history of Andrew Jackson and Jean Lafitte at the Battle of New Orleans was published by Knopf in the Spring of 2006 to widespread critical accolades. That same year he was the recipient of the University of Alabama’s coveted Clarence Cason Award for excellence in Journalism. In 2009 his Civil War history Vicksburg: 1863, was published by Knopf, again to widespread accolades, several comparing him with renowned historians Shelby Foote and Bruce Catton. Also that year he was inducted into the University of Alabama College of Communications Hall of Fame. He received the Harper Lee Award for Alabama’s Distinguished Writer of the Year in 2011. Groom has written for numerous magazines, including Smithsonian, Southern Living, Conde Nast Traveler, Newsweek, Esquire, SportsAfield, Wooden Boat, Architectural Digest, Garden & Gun, the Wall Street Journal, and the New York Times Magazine, as well as op-ed pieces in the New York Times and the Washington Post. He has also appeared as a motion picture actor in the acclaimed Warner Brothers movie of Willie Morris’ novel, My Dog Skip. He lives with his wife and daughter in Point Clear, Alabama. Bobby Horton was born and raised in Birmingham, Alabama. His life-long passion for music and history began at an early age. With a trumpet playing father and a banjo-playing grandfather, he was exposed to a varied menu of music—from the sound of the big bands, jazz combos, and symphony orchestras to the old time sounds of Southern gospel, sacred harp, and “hillbilly” music. Most of the men in his young life were World War II veterans. As he listened to their war stories, he soon made the connection between these stories and the content of his school history books. When he was nine years old the United States celebrated the Centennial of the Civil War. This celebration brought the Civil War to the forefront of his interest and his love of history became deeply rooted. In 1984, Horton was asked to produce the score for a feature film set in 1863 in Southern Indiana. While researching music from the mid-19th century, he uncovered literally thousands of tunes from that period. Combining his passion for music and Civil War history, he began recording what has now become fourteen volumes of authentic Civil War tunes in his home studio—playing all of the period era instruments and singing all the parts himself. This series is sold around the world and has led to a career in film scoring and a live presentation of these songs with the stories that accompany them. Horton is widely recognized as one of the country’s leading authorities of music from the Civil War period. A seasoned performer, Horton is a multi-instrumentalist, composer, producer, and music historian. He has performed with the musical-comedy trio Three On a String, throughout the United States and Canada for thirty-five plus years. He has also produced and performed music scores for thirteen PBS films by Ken Burns— including The Civil War and Baseball, two films for the A&E network, and sixteen films for The National Park Service. His series of recordings of authentic period music has been acclaimed by historical organization and publications through America and Europe. Horton lives in a Birmingham suburb with Lynda, his wife of thirty-plus years. They have two adult children, Jonathan and Rachel. Don Noble has been the host of the Emmy-nominated Alabama Public Television literary interview show Bookmark since 1988. More than 300 shows have been broadcast. Since 2002, some 550 of his weekly reviews of fiction and nonfiction, primarily Southern literature, have been broadcast on Alabama Public Radio. His most recent edited books are John Steinbeck (2010), F. Scott Fitzgerald (2010), and To Kill a Mockingbird (2009), all in the Salem Critical Insights series; A State of Laughter: Comic Fiction from Alabama (2008); Climbing Mt. Cheaha: Emerging Alabama Writers (2004) and Zelda and Scott/Scott and Zelda: Essays on the Fitzgeralds’ Life, Work and Times (2005). He is also the editor of Hemingway: A Revaluation (1983), The Steinbeck Question: New Essays in Criticism (1993), The Rising South (with Joab L. Thomas) (1976), and A Century Hence (by George Tucker) (1977). His reviews, essays, and interviews have appeared in numerous periodicals over the past forty years, and he has written introductions to several books, most recently a reissue of William Cobb’s Coming of Age at the Y (2008). He has served on the board of directors of the Alabama Humanities Foundation and is an honorary lifetime member of the Alabama Writers’ Forum. He currently serves on the Boards of Directors of the Southern Literary Trail and of the Fitzgerald Museum in Montgomery. He also serves on the Advisory Board for the Alabama Center for the Book. Noble holds a BA and an MA from SUNY-Albany. After receiving a PhD from UNC-Chapel Hill, Noble joined the English Department at the University of Alabama in 1969 and is now Professor Emeritus of English. Noble has been a Senior Fulbright Lecturer in the former Yugoslavia (1983–1984) and Romania (1991–1992) and has been on the faculty and the director of the Alabama in Oxford Program and director of the Alabama in Ireland Program. He has been inducted into the international scholars society, Phi Beta Delta. In 2000, Noble received the Eugene Current-Garcia Award for Alabama’s Distinguished Literary Scholar. With Brent Davis, he received a regional Emmy in 1996 for Excellence in Screenwriting for the documentary I’m in the Truth Business: William Bradford Huie. Noble is married to the writer Jennifer Horne. He has two daughters and four grandchildren. He has lived in Cottondale, Alabama, for forty-four years. 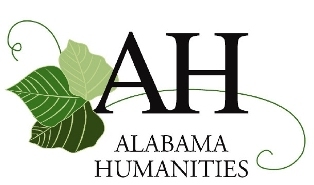 Alabama Humanities Foundation is recognizing Books-A-Million for its commitment to advancing the humanities throughout the state of Alabama. Its leadership was instrumental in providing new books to libraries across the state that were damaged in the April 27, 2011, tornadoes. Books-A-Million is the second largest book retailer in the nation. Founded in 1917 as a street corner newsstand in Florence, Alabama, Books-A-Million, Inc., has grown to become the premier book retailing chain in the Southeastern United States and the second largest book retailer in the nation. Based in Birmingham, Alabama, the company currently operates more than 250 stores in thirty-one states and the District of Columbia.